Planning a Jamaica honeymoon can be almost as fun as exploring this island for yourself. There is something sensuous in the air with beautiful beaches for you to lay out and enjoy each other. Exotic scenery and magnificent mountains to explore. Jamaica is a wonderful place to visit for any reason. Its location and the things that there are to do here, make it more enjoyable when you're with someone you love. This island nation, located in the Greater Antilles is in a beautiful location in the Caribbean Sea. The climate is just right for trips year round and you'll find that there are many things to do when you arrive. Do you want to stay at the luxury resorts available here? If so, do plan in advance as they can book up quickly, especially in the more prominent areas. Are you planning to visit during high tourism times, including the summer months? If so, again book your trip in advance of your stay. 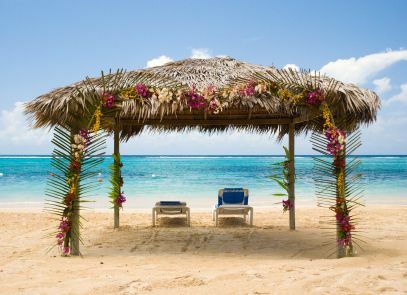 If you've never been to Jamaica before, but want to visit for your honeymoon, give yourself plenty of time to see everything that there's to see and do here. It can be very impressive, but not when you're rushing from one area to the next. Focus on doing things that you both love to do. You'll find an assortment of things to do. However, do plan to make this trip memorable by booking things that are new for both of you, too. Finally, plan to book a few romantic dinners. These are a popular option among honeymooners! These tips are just a place to get you started with your trip planning. Keep in mind that learning as much as you can about the country, and all it has to offer, is the best way to plan your trip. Be sure to look at its unique history and its culture. For those who are looking for ways to save money, consider booking Jamaica honeymoon packages. These packages combine the costs of various amenities you need, such as your hotel or resort, car rental and attraction tickets. This is an easy way to save if you book in advance. Jamaica is more than just dancing. You may love Jamaica reggae music, but you should take the time to explore the beautiful landscapes and beaches. The people that call this area home are impressive and extremely friendly. Jamaica is the perfect place to experience a wonderful honeymoon. Return to Home Page from "Jamaica Honeymoon"